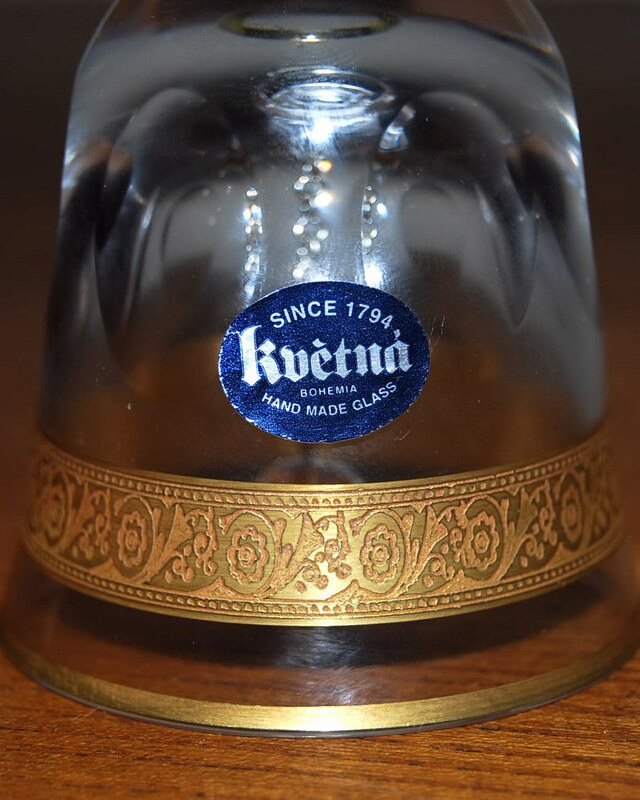 I can't seem to find anything online or here about Kvetna - are there any good links I can follow? i presume 1990s. my parents visited the works in Slovakia on a bus tour and brought back a set of glasses of the same pattern then. Sorry Ivo, I forgot to thank you for your help - Thanks! Hi friends, naturaly KvětnÃ¡ is in Moravia, eastern part of Czech republic. 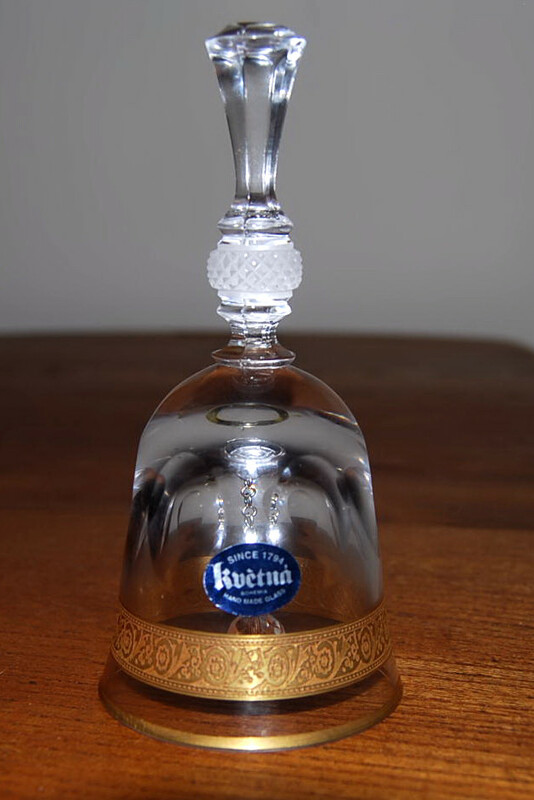 Your bell, however is not from sixties but from recent KvetnÃ¡ Glasswork production.